Ledger 101 — Part 1: Do You Really Need a Hardware Wallet? This is a question I get everyday from people who are brand new to the crypto world, early adopters, advanced traders with a great deal of wealth in crypto, institutions, and everyone in between. This simple question has a simple answer: Yes, you do! With a series of high profile hacks on major crypto exchange platforms as well as a constant stream of headlines around individual crypto attacks, it’s more evident than ever before that security must be top of mind for every crypto investor no matter how large or small their assets. The way most individuals first get into cryptocurrency is by purchasing coins on an exchange platform, and leaving them there, especially if they have intentions to trade. To better understand what I mean by “leaving them there” let’s have a look to the notion of “ownership” in the world of crypto. When you own cryptocurrencies, what you really own is a “private key”, a critical piece of information used to authorize outgoing transactions on the blockchain network. Whoever has the knowledge of this key can spend the associated funds. Hence the famous expression “not your (private) keys, not your bitcoins”. If you are keeping your crypto assets on an exchange, you are entrusting a third party with these private keys and mandating them to serve as a safeguard. What you have is a IOU (“I owe you”), a promise from the exchange to give them back to you. This is akin to buy paper gold (you trust a third party) rather than physical gold (you really own gold). While exchanges provide some basic levels of security, the fact is that most trading platforms are not security companies, and you are entrusting them to keep your private keys protected with whatever measures they choose to implement. You’re also trusting the exchange platform not to have malicious usage of your assets. Your are basically not in charge, and hoping for the best. The fact of the matter is that being a crypto investor in 2018 requires taking security seriously. While awareness around security is still not where it needs to be, the good news is that more and more crypto investors are getting smarter and taking control of their security into their own hands. Owning your private keys gives you much more power and control, but it also comes with the needs of taking care of their security. Many tools are available to manage your keys, usually called “wallets”, but not all of them are secure. When you buy physical gold, it would not come to your mind to display it on your chimney. Similarly, when buying crypto assets, no one should display them as some kind of trophy on their computer or mobile. For gold, you would only trust a physical safe, for crypto you should only trust a hardware wallet. The main principle behind hardware wallets is to provide full isolation between the private keys and your easy-to-hack computer or smartphone. Vulnerabilities of modern PCs and smartphones are well known, and if you keep your private keys there it’s just a matter of time before you’ll get hacked and lose everything. Hardware wallets are convenient, affordable, portable and backed up by a paper wallet allowing easy recovery in case of loss. This is why hardware wallets are booming in popularity and becoming the new standard bearer for crypto security. Hardware wallets offer a much more thorough level of protection, as these physical devices enable investors to take their private keys into their own hands and secure them into a harder-to-hack product. 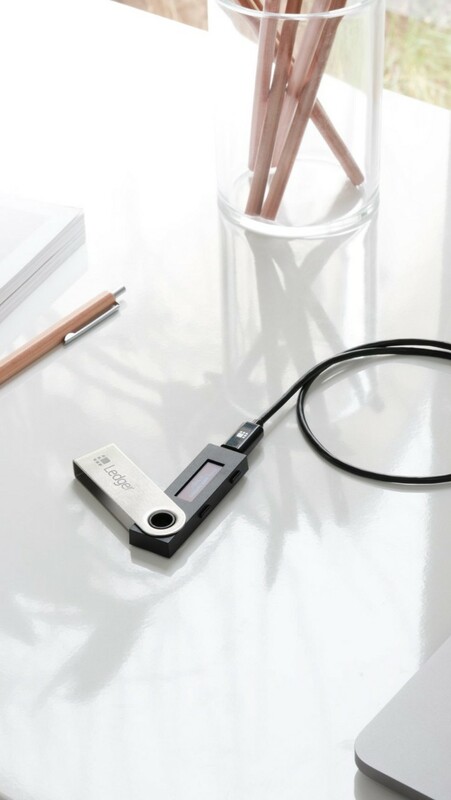 However, even hardware wallets are prone to attacks including physical attacks to abstract keys, fault attacks to disrupt a wallet’s chip causing faulty behavior or hacker access, and side channel attacks, which involves a hacker “listening” to the chip’s electric or electromagnetic signature to gain access to the device. While the emergence of hardware wallets are providing critical new security solutions, most vendors are still vulnerable to various attacks. That’s where Ledger comes in. We are pioneering hardware wallet technology that provides unprecedented levels of security for crypto asset through a secure element — a chip designed specifically to resist highly skilled attackers and a custom OS designed specifically to protect crypto assets. In the upcoming part 2 of this Ledger 101 series, I’ll outline in detail just how this technology is providing with the highest level of security to ensure that crypto investors can be more confident in safeguarding their assets than ever before. Learn more about Ledger and its hardware wallets at ledger.com.